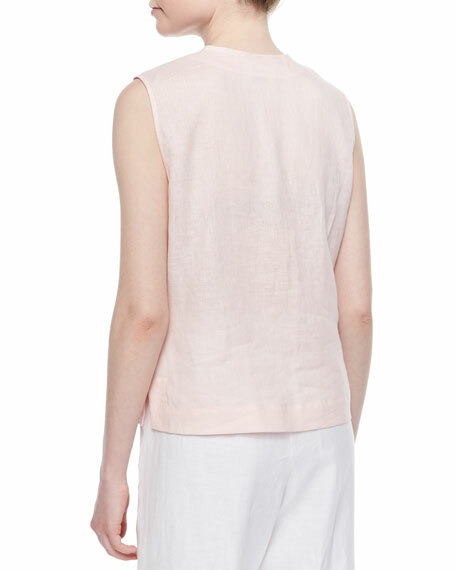 Go Silk airy, semisheer linen shell in your choice of color. Approx. measurements: 23"L center back to hem, 21"L center front to hem. Mandarin neckline; mother-of-pearl loop button front. For in-store inquiries, use sku #2112433.